The Gippsland Lakes are home to around 400 indigenous plant species and 300 native wildlife species. 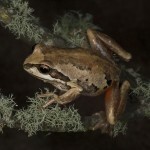 Some of these species are listed as threatened, such as the dwarf kerrawang, metallic sun orchid, swamp everlasting, growling grass frog, spotted-tailed quoll and the wandering albatross. The presence of these plants is one of the reasons the Gippsland Lakes was nominated as a Ramsar site. A range of fish species live in the Gippsland Lakes. 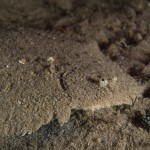 Generally, fish spend their juvenile stages in shallow waters, particularly around seagrass. 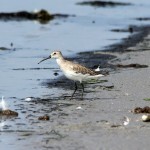 Most adults have more flexible requirements and occur across a range of the available habitat types. 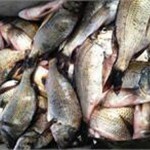 Common species include black bream, mullet, dusky flathead and tailor. Black Bream are an important fish of the Gippsland Lakes. 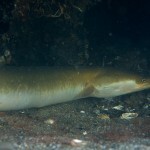 Although they live in estuarine and freshwater conditions they require salinities of 11,000 – 18,000 ppm (about half the salinity of seawater) for spawning to occur. It takes over 9 years for a Black Bream to reach the minimum legal limit of 28cm. 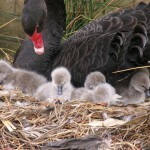 Waterbird abundance and diversity is one of the most important aspects of the Gippsland Lakes. The Lakes provide important feeding, resting and breeding habitat for 86 waterbird species, many of which are listed under international conservation agreements. The Lakes are home to a significant pelican rookery. The most popular areas of the Lakes for waterbirds are fringing wetlands such as Dowd Morass, Heart Morass and Sale Common as well as the salt marshes and saline wetlands such as Lake Reeve. Migratory birds that enjoy our Australian summer include snipe, sandpipers and terns whilst birds that winter here include the cattle egret and double banded dotterel. The Lakes are home to two threatened frog species: the green and golden bell frog (pictured) and the growling grass frog. These two species are capable of hybridizing and there are areas around the Lakes where the species and the hybrids co-occur. 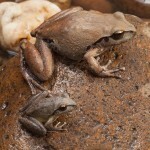 The Growling Grass Frog (Litoria raniformis) is one of Victoria’s most endangered frogs. Adult males have a very distinctive call that is described as ‘a long modulated growl or drone, followed by a few short grunts: crawark-crawark-crawark-crok-crok’. The Growling Grass Frog is reported as eating a wide range of prey including insects, small lizards, fish, tadpoles and even other frogs. It is a ‘sit-and-wait’ predator. 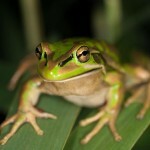 Growling Grass Frogs need still or slow moving water, ideally with lots of different water plants. They enjoy the fringing wetlands around Lake Wellington but can also live in farm dams and irrigation channels. The Lakes are home to a range of mammals, that live both in the water and on the land. 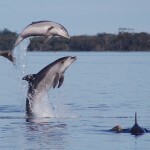 One of the most notable marine mammals is the Burrunan dolphin, which is endemic to the Lakes and Port Phillip Bay. 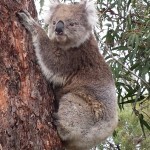 A land based mammal that is popular with locals and tourists, are the koalas (pictured) that live on Raymond Island, just off Paynesville. There are also those species that live both on the land and in the water like the platypus, which can be found in the freshwater rivers of the Lakes catchment, and the often-misidentified native water-rat. 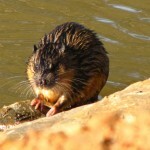 Australian native water-rats, also known as rakali, live in and around the Gippsland Lakes. These small attractive mammals in many ways resemble a small otter. Competent swimmers they have a thick, furry tail that acts as a rudder and webbed hind feet to assist paddling. Water-rats often choose a favourite, scenic spot to eat. If you have noticed a large pile of fish bones and scales it’s probably the remains of a water-rat feast. The rakali is one of Australia’s least studied mammals. 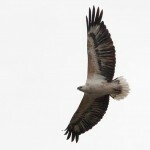 A new project is now asking for help to record sightings.